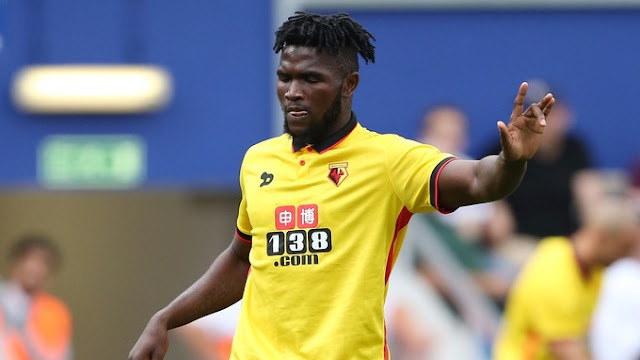 The international break is over and our Nigerian stars were back in action all around Europe with youngster Isaac Success leading the way with a man of the match performance. Victor Moses was once again in the starting lineup for Chelsea as they beat Leicester City three goals to nothing. Moses was exciting and got the third goal for Chelsea in the 80min and was taken off in the 82 minute. Ahmed Musa was brought back into the team but was disappointing and yanked off in the 67minute. Alex Iwobi played 68minute for ARSENAL as they survived a scare to beat Swansea City 3-2. Manchester City played out a one all draw with Everton, and Nigerian Kelechi Iheanacho was on from start but was taken off in the 56th minute following a lacklustre display. Isaac Success was the star man for Watford as they beat Middlesborough one nil away from home. Success was everywhere in a relatively poor game earning him the Man Of The Match Award. Fellow Nigerian Odion Ighalo was on the bench but not seen as good enough to play a part. Carl Ikeme played all 90 minutes for Wolverhampton Wanderers as they scrapped out a one all draw away from home against struggling Aston Villa. Sone Aluko was on from start to finish and helped his team to win 4 goals to 2 away from home against Barnsley. Aluko got his name on the score sheet to end his 8 game goal drought with what was his 3rd goal in the `12th game of the campaign. Uche Henry Agbo was on for Granada as they suffered a shameful 7-1 defeat at the hands of Atletico Madrid. Agbo got a yellow card for his troubles. Lille continued their free fall as they suffered a painful 1 nil defeat to Guingamp with former Super Eagles captain, Vincent Enyeama on full display. 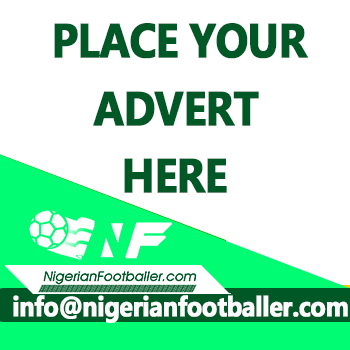 Ifeanyi Matthew opened scoring for relegation-troubled Norwegian club Lillestrom to win 2-1 today at second-placed Brann and give them a fighting chance to escape the dreaded drop. Belgian top flight on Sunday. Simon scored in the 77th minute to put Gent two goals up. Also in action for Gent was Nigeria midfielder Anderson Esiti who went off for Hannes van der Bruggen while Rabiu Ibrahim was benched. Kenneth Omeruo made a 90-minute appearance as his side Alanyaspor played 1-1 against Fenerbahce. In action for Fenerbahce was former Nigeria striker Emmanuel Emenike, who was replaced by Aatif Chahechouhe on 64 minutes. Aminu Umar, made an appearance for Osmanlispor in their 0-0 away draw against Bursaspor. Umar who was yellow-carded on 74 minutes and taken off soon after. Goals seem to have dried up for Super Eagles forward Brown Ideye has he play from start and was taken off in the 90minute as his side ran out winners.